Formed in 1954, Arens Publications is a provider of a variety of publishing services. 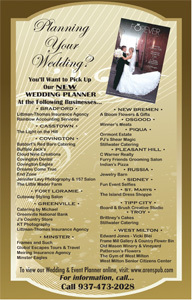 Based in Covington, Ohio, the firm meets various needs of buying and selling of goods and services. The company publishes classified advertisements on topics, such as accountancy and bookkeeping, appliances, auto detailing, auto services, bank, bar and grill, computer/electronics, decorating and financial. Arens Publications also publish classifieds for real estate, restaurants, roofing, tax services, public services and general retail shopping, to name a few.